We at Run the Hamptons know that our volunteers are one of the most important parts of our races! You are what makes these events’ actually work… without our army of volunteers, we couldn’t get anything done and we couldn’t give back to the communities that we love. Thanks so much for being a part of our events, and know that your time is an incredibly valuable donation to our runners, as well as to our beneficiaries! 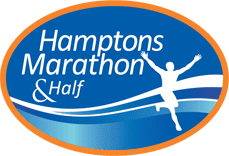 Volunteer sign up for the 2019 Hamptons Marathon will open soon! Stay tuned!